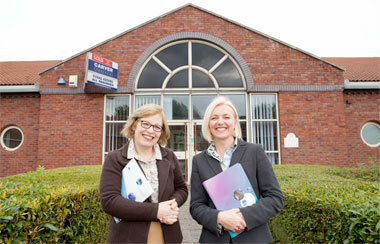 8 October 2013: Company’s competition win leads to larger premises and new jobs. 10 September 2013: Cambridge Research Biochemicals acquires rights to novel technology useful for development of gene and drug use. 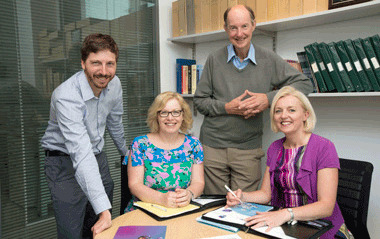 1 August 2013: Cambridge Research Biochemicals confirms supplier status with contract renewal. 14 February 2013: Cambridge Research Biochemicals adds QuickAllAssay™ Lanthanide labelling reagents to its product rangs. A keenly contested grant has allowed a leading UK manufacturer in the medical research field to expand its north-east base and create new jobs. Billingham-based Cambridge Research Biochemicals (CRB) recently won a ‘Let’s Grow’ grant (worth £65,000), allowing it to move from its Belasis Park premises to a neighbouring location on the Tees Valley Enterprise Zone which is over twice the size. CRB, a specialist manufacturer of custom-made peptides and antibodies - both key tools in drug discovery - supplies some of the world’s largest pharmaceutical companies as well as leading research institutes. The grant win was timely as the company, the world’s second-oldest peptide manufacturer, is in a flourishing market growing at a rate of 15% per year. Cambridge Research Biochemicals, a British company specialising in custom supply of research reagents, principally peptides and antibodies for medical research and the Pharmaceutical industry, today announced that it has licensed the rights to a novel and patentable method for parallel assembly of a large number of peptide-therapeutic cargo combinations. The company aims to launch a service in October to provide both researchers and pharmaceutical companies with custom-made libraries of peptide-cargo conjugates to help accelerate the delivery and development of new therapeutics. Cambridge Research Biochemicals, the specialist peptide and custom antibody manufacturer based in the North East of England, has demonstrated customer satisfaction with the extension of an important contract in the medical research field. CRB, a leading peptide manufacturer and custom antibody supplier which is based in Billingham on Teesside, has announced that it has renewed its contract with UK SBS, formerly known as RCUK Shared Services Centre Ltd (RCUK SSC Ltd). The original contract dates back to 2010. The contract means that the company will continue to supply UK SBS with custom-synthesised peptides and custom-generated polyclonal and monoclonal antibodies for a further 12 months with an additional year’s extension. Cleveland, UK: Cambridge Research Biochemicals has signed an exclusive deal with Bio-Nobile (BN) Products and Services (Finland) to promote and sell QuickAllAssay™ labelling reagents in the UK. The ready-to-use reagents are used for labelling of proteins, antibodies and small molecules with a Europium chelate and are unique in that only one kit is required for labelling all assay formats including TR FRET (Time-Resolved Fluorescence Resonance Energy Transfer) and QRET (Quenched Resonance Energy Transfer assays) and for separation based enhanced time-resolved fluorescence assays.